Experience the most spectacular graphics on every game and film with the PlayStation 4 Pro - with 4K Ultra HD resolution and HDR compatibility. Included with the Sony PlayStation 4 Pro is the DualShock 4 controller, which gives you complete control and lets you interact with your games in both familiar and unexpected ways. The dual analogue sticks and improved buttons offer enhanced precision, plus there are integrated motion sensors, touch controls and the innovative 'Share' button. 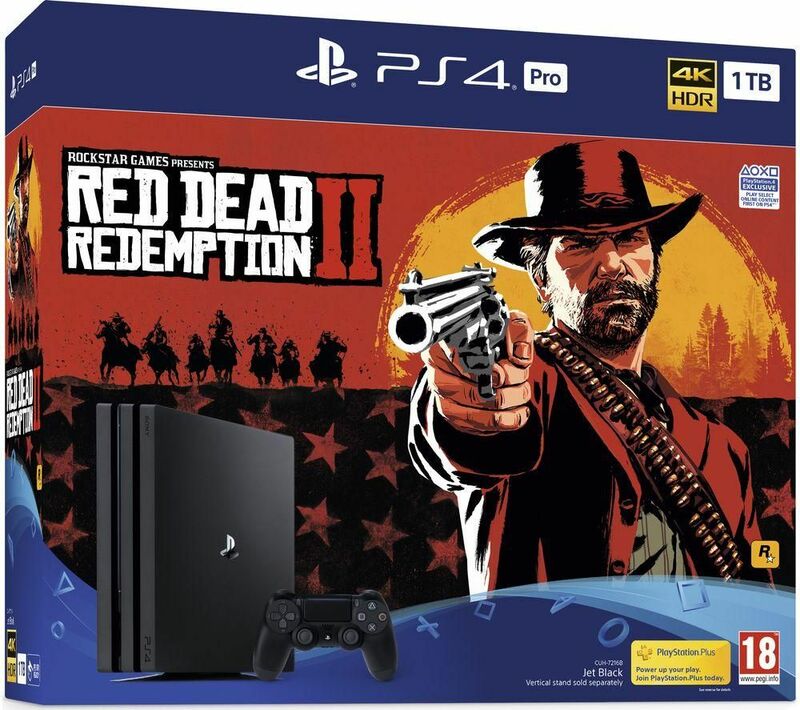 Able to connect to super-fast 2.4G Hz and 5 GHz broadband speeds, you can enjoy enhanced dual-band WiFi with the PlayStation 4 Pro - letting you download games and connect with your friends quicker than ever. Revisit the wild west with Red Dead Redemption 2. Made by the creators of Grand Theft Auto V and the original Red Dead Redemption, Red Dead Redemption 2 brings the final days of the Old West to life. Explore the beautiful and dangerous landscape of the world around you, where every decision and action has a consequence. Engage in fierce gun battles and roam the open-world as you rob, steal and fight your way across the country. Plus, with a brand new online multiplayer experience, you can take on the unforgiving landscape with others from around the world.